In this example we will see how to use PDF documents without the need for Java to generate them. 1. 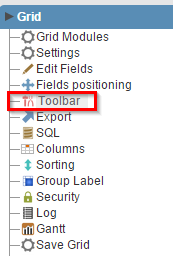 Access the Toolbar settings through the application menu. 2. Add the PDF button. 3. 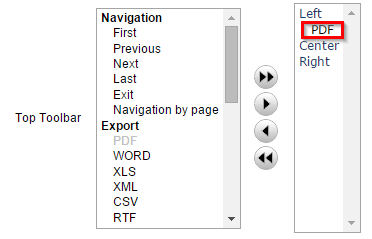 We can configure multiple PDF export options through the “Export” menu.